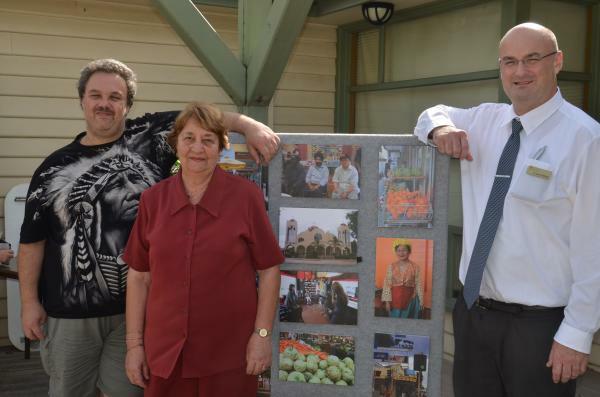 THE Springvale community has celebrated Face to Face – a project that’s seen locals share their stories of the diverse suburb. Many of those involved met to reflect on the past three years’ work at a morning tea last week. The innovative and inclusive project engaged people of all ages and backgrounds who lived, worked, studied in and visited Springvale to share stories through words, images and film. Stories came from pioneering families who set up farms and market gardens in the area, newly-arrived migrants, refugees and asylum seekers. Common themes included Springvale’s diversity and the complex issues of discrimination and acceptance. Others told of navigating their differences to form links and connections across the community. The project’s seen community exhibitions, education programs, photographic documentaries, short film and artist-in-residence programs with local primary and secondary schools blossom. Greater Dandenong Mayor Angela Long said the stories provided a window into how Springvale people viewed their own community and were remarkable. “Everyone who told their stories through Face to Face had their own unique Springvale story to tell,” she said. Cr Long said there were many people who made the Face to Face project possible including the project management team, the funders, local primary and secondary schools, and the many community members who shared their stories. “You have helped create an incredible project of which you should be very proud – thanks to you the important stories of Springvale have been captured to serve as a celebration of our community’s history and future,” she said. The Face to Face project was recognised with the 2010 VicHealth state award for communication. An animated documentary by artist Sarah Firth received accolades locally, nationally and around the world, including the People’s Choice Award for Best Australian Short Film at last year’s Human Rights and Arts Film Festival. The City of Greater Dandenong presented Face to Face in partnership with VicHealth, the City of Kingston and the Victorian Multicultural Commission.